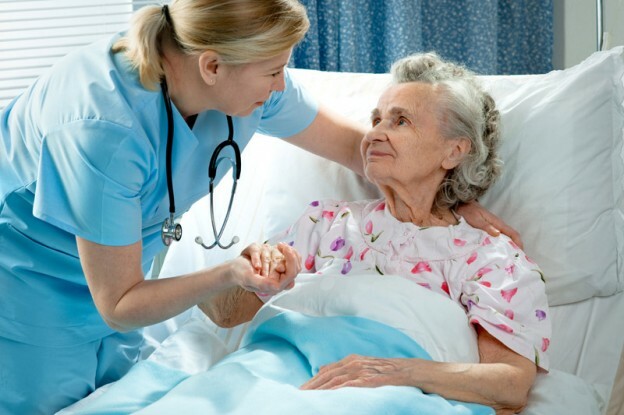 Hospice care provides treatment of pain and symptoms for patients who no longer wish to receive curative treatment. The goal of hospice providers is to improve the quality of a patient’s life by offering comfort and dignity with a special emphasis on controlling any physical discomfort. Hospice strives to make every day count for patients and families, whether it is for days, weeks or months. A team of healthcare professionals provide care including: hospice-certified nurses, hospice home health aides, physicians, art and massage therapists, social workers, counselors, bereavement counselors, spiritual care providers and volunteers. Determining when your loved one should be placed in hospice care can be challenging for families. Decisions of this magnitude are demanding and often can cause disagreements between family members and caregivers. The conversation should be held between closest family members, caregivers, physicians and if possible, the patient themselves. Has the patient had an increase in hospitalizations? Has their illness progressed beyond control? Do the side effects of treatment outweigh the benefits? Does the patient wish to stop receiving curative treatment? Have they had a physical decline? Do they need assistance with most or all daily activities? Does the patient have multiple co-morbidities? If you answered yes to one or more questions it may be time for your loved one to receive hospice care. The staff at Visiting Nurse Association of Ohio will meet your family’s needs. A dedicated, compassionate team will partner with your family, physicians and other caregivers. Our goal is to maximize your comfort by reducing and addressing physical pain, psychological, social, spiritual and bereavement issues. VNA of Ohio supports and respects the decisions you and your family have made and ensure our patient’s comfort during the end of life stage. Learn more about VNA of Ohio hospice services, or call us at 1-877-698-6264.